Nations periodically have “change” elections. The outcome of the 1980 U.S. presidential contest, in which Ronald Reagan trounced then President Jimmy Carter, was attributable to many factors. But at the end of the day, Americans just wanted a change. India may be heading for a similar such election when the public goes to the polls later this spring to elect a new parliament and government. A new survey by the Pew Research Center finds that seven-in-ten Indians are dissatisfied with the way things are going in their country today. And, by a margin of more than three-to-one, they would prefer the right-of-center, Hindu nationalist opposition Bharatiya Janata Party (BJP) to lead the next Indian government, rather than the current governing coalition led by the left-of-center Indian National Congress party. Of course, much can happen between now and election day. But the Indian public is clearly disgruntled and seems to be ready to embrace someone new. 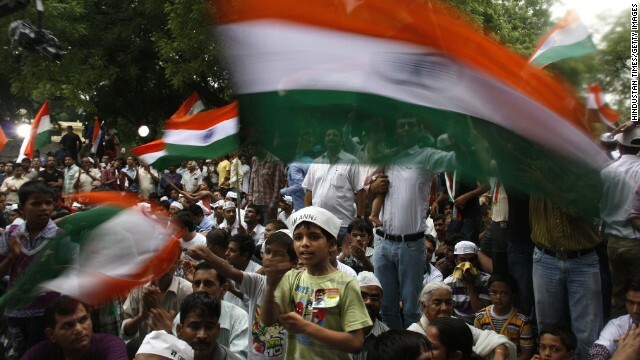 The 2014 Indian election will select 543 members of the Lok Sabha, the lower house of the national parliament. No single party has won a parliamentary majority since 1989, so recent governments have involved coalitions of smaller regional parties led by either the BJP or Congress. But just 29 percent of Indians are satisfied with the way things are going in India today, while 70 percent says they are dissatisfied. Such disgruntlement is shared across various demographic groups: three quarters of men and two-thirds of women; almost three-quarters of Indians age 18 to 29, and those 50 years of age and older (69 percent); two-thirds of those with a primary school education or less, and three quarters of Indians with a college education or more. In addition, about three quarters of those living in urban areas say they are dissatisfied. So who might they want in charge going forward? More than six-in-ten Indians prefer the BJP to lead the next Indian national government, while only a fifth picked the Indian National Congress. BJP backing is consistent across age groups, with people with a college education or more only slightly more likely to pick the BJP than those with a primary school education or less. And the BJP’s support is almost equal between rural (64 percent) and urban (60 percent) Indians. This preference for the BJP reflects a widespread sense that the party would do a better job dealing with the many challenges facing Indian society. A majority says the BJP is more likely to be successful than Congress in creating employment opportunities in the future, while a similar proportion of the Indian public – 56 percent – says the BJP would do a better job than Congress in reducing terrorism. There is equal faith in the BJP’s capacity to combat corruption, while only 17 percent say Congress can successfully deal with corruption. In addition, with inflation running high, limiting rising prices is a special public concern and a majority of the public says the BJP would be better at reining in inflation. Notably, despite the Congress party’s historic roots in India’s villages and its past efforts to provide more jobs and services for the impoverished, more than half of the public say the BJP would do a better job than Congress in helping the poor, a view that held even in rural areas and among low-income Indians. And although in recent months the Lok Sabha has been stymied by partisan disputes, the Indian public also has more faith in the BJP to end the gridlock, with 47 percent saying it is better suited than the Congress party to do so, compared with 19 percent who thought Congress had a better chance. With more than 1.2 billion people, India is the world’s most populous democracy. And to the surprise of many its electorate threw out the BJP government in 2004. Is a similar push for change on the horizon? The Pew survey cannot gauge the level of support for either the BJP or Congress for particular constituencies. But it certainly suggests a widespread desire among Indians for a change in leadership. India is still, one very very small notch above Africa, though. At least they don't massacre each other, in the millions, using machetes, for no reason whatsoever! Now if they can only learn to shower a little more often and use some deoderant, that would be progress! You still think Africa is a country don't you? Lol..
or may be he thought it was about native indians in usa. what wrong with a little odor? That curry smells better then your moms la-whori macchi. I can see curry now, the smell is gone.......... I can see all obstacles in my way......... Ha! Ha! Ha! Is that the Indian version of Olivia Newton John's song: I can see clearly now? Hilarious! India problem is OVERPOPULATION. Not long ago, they celebrated reaching 1B. Now 1.2B. So, let's give them ALL H1B visas to come live and work here. That would sort out the over population issue! you guys should abt another country b4 you speak.. thats the prob with Americans. They speak thinking they know everything when actually they are the most ignorant ppl on earth. Indians are not above Africa but they are close to the most so-called developed countries. Face the reality dude!!! rick .. take it easy dude. Maybe learn to speak and write English first, then we can take your nonsense argument seriously. Rick – Don't listen to this guy! English is a very primitive language. It lacks all the rules and mathematical structure of Indic and Chinese languages. Have you taken a trip to Detroit lately? I bet it is worse than Mumbai or Delhi. I am pretty sure Americans are not all that happy either. It is sad that they have only a two party system – one far left and one far right with no one in between. There is an ever increasing divide between the haves and the have nots. The parties are sold out to corporates and what do they do about it? – Nothing! Indians rule silicon valley and will be in more and more influential positions in the coming decade. Microsoft was just a humble beginning. They make a lot more than average Americans can ever dream of. Guess what – you can get jealous, perhaps complain – but at the end of the day all will be fine as you guys pass the pot around. Anyone considers Republicans as christian nationalist right-wing party? i hope not. Hey guys, did you see the 2014 model of India's bullock cart??? Somehow, it looks exactly like the 1214 AD version, which looks exactly like the 214 AD version, which exactly resembles the 500 BC version............ I wonder why??? Don't they have millions of brilliant engineers??? Poor pakistani turban, Sitting in that cave hiding from the drones, makes you repeat the same nursery rhyme over and over again. by the why they don't teach Pakistanis above kindergarten do they. I guess Allah does not want educated people only mindless zombies following that god forsaken book. all those brilliant Indian engineers fled to Silicon Valley, California.......... hence they have nobody at home to redesign their bullocks carts, their cities, their railways, their roads, their lives............ very sad......... those buildings collapsing on people's heads in Mumbai really takes the cake though......... amazing level of incompetence!!! we finally figured out why the world calls India the sewer of the East............ when flying to India from any other country, as you approach the landing strip of any international airport within the boundaries of India, you can smell the stink......... almost like an open sewer has been festering there for 70 years....... the simple truth about India.......... very sad, but oh so true!!!! dang dude... chillax ... so many comments in a span of a few minutes. You sound jelly. It is called hiding in a cave syndrome. Of late Pakistanis don't have much to do with those drones hovering in the air. just like humans killing humans everywhere under the guise of something. does that make it less sick? sick is sick. Get it?????????? Indians, that you are unhappy with your own country – and you are the ones who made your country what it is today – does not mean you should inflict yourselves on civilised countries. We have enough laborers, taxi drivers, security guards and 711 clerks, thank you. Like Muslims, you are not welcome, and we do not want to see the civilised West become the hell holes you came from, do we? you make me sad, thats really sad, for one thing you are immature but also you obviously have not travelled in an aircraft which half your poulation does not ,because you people cant afford it. Anyways you can't smell anything from outside the plane till u land , what u probably are smelling is your own armpit,because u have to actually take a shower not just put deodarant like you guys usually do.How is that for stereotyping ? He is a lazy pork chop from Pakistan pretending to be an american. From a personal observation based on a number of contacts with people from India, they seem to be afflicted with chronic complaining. Walk a mile in their shoes then come back and tell us how YOU feel! Probably be ALOT more complaining! Have you ever been to the Philippines? So when will you go and give us a reports then??? These comments show that Americans have absolutely no idea about India as a civilization or as a modern nation. It's good that they are utterly and completely ignorant of Indian history and how India was the civilization around which all the great civilizations revolved in the past. India is on an upward trajectory. Indians will progress at their own speed. Let's see how America stands up to a ravenous China in the future. I smell British Crap here!! Divide and rule. Sorry to say but there is no concept of Aryans and Dravids in Indian History. We have history of Lord Rama (dating back 1 million years) and Lord Krishna (6000 years). All Indian states history dates back to thousands of years (written and oral) and there is no proof except in British/European libraries that Ayans came to rule India. LOL. Also, India was richest country on this entire Earth 500 years back and is going there again with 2-10 trillion dollars economy with some cleanup due to God's wish. India is a democrary ..... really. The only democracy where students are expelled for supporting the wrong sports team.... Read the following article on BBC. When the so called indian muslims support pakistani team, indians dont that kind of tolerance that you have, dude. The Islamic world has really shown us their true colors, in Kashmir. Over the last 30 years, they have murdered over 2 million Kashmiri Hindus and scared off over 20 million, thereby becoming a Muslim majority State......... this is what these buggers will do in order to take over in any place on the planet......... all the while chanting "Allah O Akbar"........... they have "stolen" over 35% of Kashmir and effectively made it part of Pakistan!!!!!!!!!! But isn't that what the Anglos did to North America, Australia & New Zealand? Basically they just marched in there, killing over 50% of the native populations, shoving the rest onto reservations, all the while chanting "Jesus is awesome"? We are much worse than them thar muslims, only we dare not admit it. In fact, what just the British did to the entire planet, from 1600 thru 1950 AD, makes what Putin is doing in the Crimea look like kindergarten stuff. Americans better worry about their own country now, as there are mosques in every city and every corner, rather than spending your eenergy on criticising hindus and Hindu culture, focus the Jihad which musli migrats have brought into your very home. ALl anti Hindu comments here are by barbaric terrorist pakistani muslims, who are taught to hate not just hinduism but every single non muslim, but they forget that pakistan bangladeshi and indian muslims are not real muslims, they were forced into islam from Hinduism by islamic arab invadors of hindu land, every muslim has Aryan or dravidian ancestry. Join the club..........the U.S. is in total disaster, so why not join in????? Good point! It is rather worrisome that the entire planet seems to be descending towards a "disaster zone" as far as human existence goes. With over 7 billion of us clamoring to survive, and the natural resources on this planet running pretty thin, it is just a matter of time before we will find an excuse to kill ourselves in the billions. Mother Nature will probably smile and say, "problem solved".